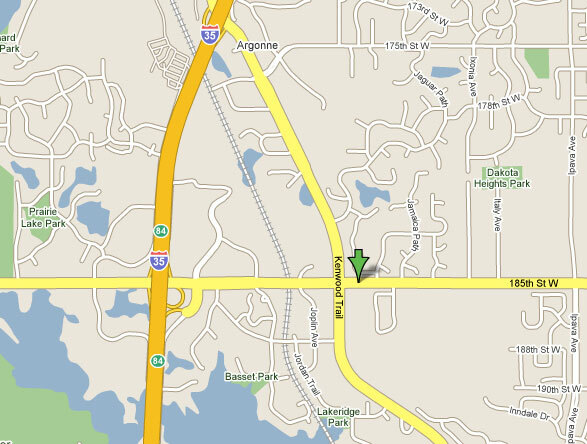 We are located on the southeast corner of the intersection of 185th Street and Highway 50. From I-35, exit on 185th Street (by SuperTarget) and follow the road east. Go straight through the roundabout crossing Highway 50 and take the first right immediately following the roundabout to enter Lakeville Professional Plaza. Our office is in the rightmost building – adjacent to 185th Street West.